A male–on a mission–in a downward dive, probably searching for that perfect cricket! Many thanks to Mr. Kinneer for sharing his extraordinary talent with the lens. Why so much fuss about monitoring these nesting sites, anyway? Why can’t we just put up a nestbox and leave it to nature? Why is there such concern for a wild bird’s safety in my wonderful manmade housing? Photo by Wendell Long–All Rights Reserved-Used with Permission. 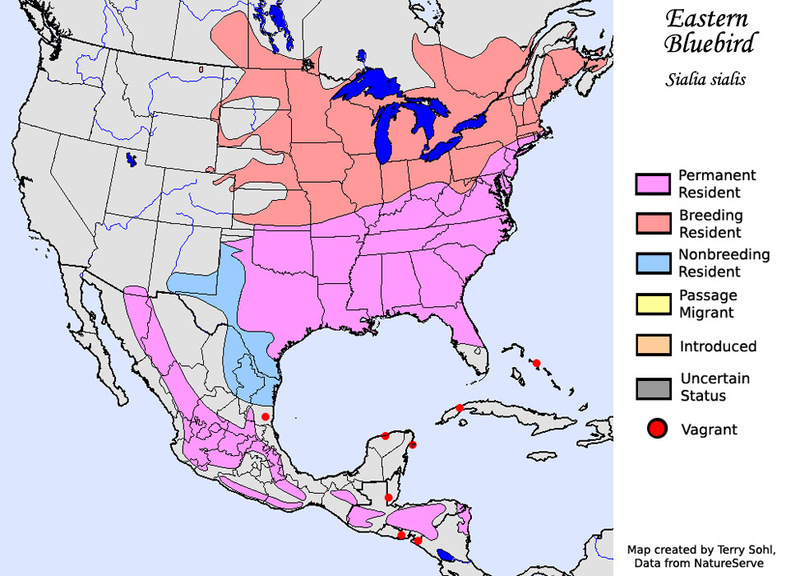 It’s important to know some history about the three species of bluebirds in North America and why they have struggled. We have finally figured out the problems associated with that–that is what the conservation effort is to many– the joys of helping this cavity-nester stay healthy–a beautiful, gentle songbird that will always need human help. 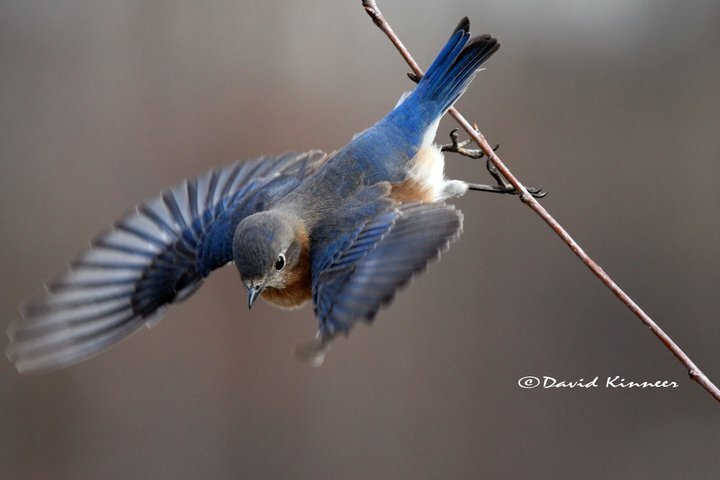 This page is new and will go into detail the plight of the bluebird in North America and the fight to survive and why we are in a conservation effort to help them. To be continued soon….history is always in the making in the birding world. 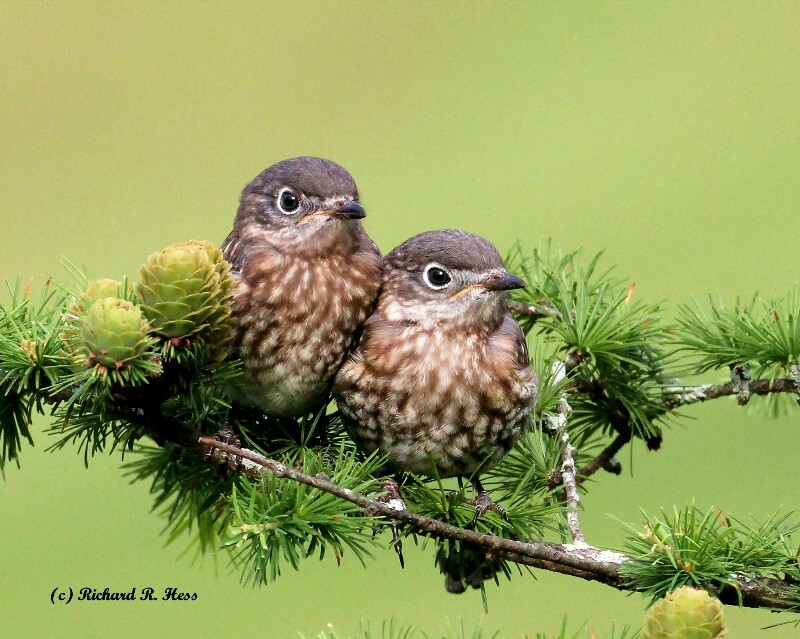 The Eastern Bluebird was one of Virginia’s most common songbirds 100 years ago, but their numbers sharply declined through the years in North America due to harsh winters, urban sprawl, lack of dead trees or snags, the introduction of the invasive house sparrow and starling from Europe, a decline in winter food (native berries), pesticides and herbicides, like glyphosate–like RoundUp by Monsanto —http://en.wikipedia.org/wiki/Glyphosate, which can kill bluebirds very quickly, and to predators. 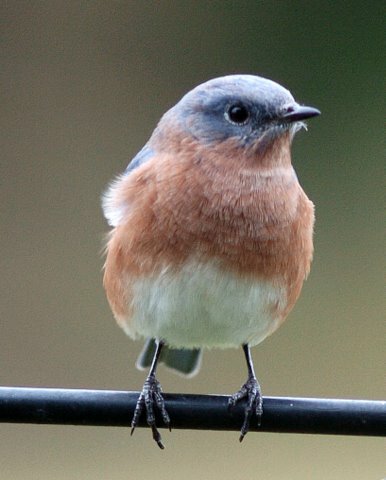 Thanks to these conservation efforts of putting up manmade housing and monitoring them carefully for best success–and also establishing and monitoring bluebird trails of nestboxes using predator guards, their numbers have increased! Photo by Richard Hess. What’s not to love? A successful fledging from a nestbox is goal #1. Once a bluebird couple have lest an unsuccessful man made home due to I think ants and sparrows, is there any chance they will return either this year or next? They might…but many times unsuccessful nesting may inspire them to try someplace else. I’ve seen them start over in same box or move. Each nesting couple is different.